Pour the cream into a saucepan, add sugar and bring to medium heat by stirring. When the mixture is hot (but not boiling), remove it from the heat, add the well drained gelatin to melt and Eyguebelle Thyme Syrup. Divide the mixture into 4 cups, without filling them. Let cool and keep cool to take. 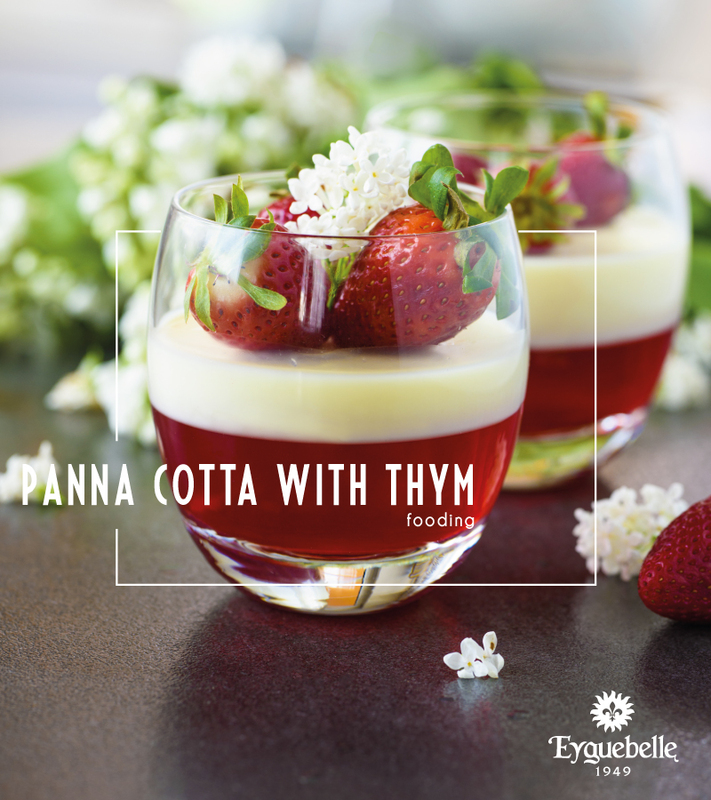 Before serving, cover it with Eyguebelle Provence Strawberry Syrup !